Click on a book’s title to read an excerpt or buy e-books with the provided links to Amazon.com and Barnes&Noble.com. To purchase PDF files directly from our site, use the “Buy Now” button at the bottom of each book’s information page. You will then receive an email from Word Press with your downloadable file. PayPal and major credit cards accepted. Simple, fast, convenient. Please note that the menu bar on the right side is currently under construction and only the “Gift Certificates” tab works. We will gradually be adding posts until the information is complete. Thank you for your patience as we work to make our site more user friendly! ترجمة معاني القـرآن الكريم Simple language and attention to detail have made this a superior English translation. Widely acclaimed and respected for accurately reflecting Arabic meanings, it has received recommendations by numerous well-known scholars, including Shaykh Muhammad bin Saleh al-Munajjid, Dr. Zakir Naik, Sheikh Yusuf Estes, Dr. Bilal Philips and Dr. Jamal Badawi. Read several reviews or view the flash book edition by clicking on the "Qur'an" tab above. الرسول العالمي Focusing on the personality of Muhammad and his global mission, this book acquaints the reader with the man who is loved so much by some and misunderstood so much by others. It addresses questions such as, "Was he really a prophet?" "What did he teach?" "Did he live up to his claims?" "Did he encourage war and terrorism?" The book also begins with a general introduction to Islam and is our second bestselling da‘wah book. حقائق الإيمان Popular gift item! The book focuses on studies pertaining to the heart and soul, adapted from the writings of early scholars. Its subjects (such as “Repentance,” “Patience,” and “Death”) help define the relationship between the believer and his Lord and serve to strengthen one’s faith. قيمة الوقت عند المسلم This book is a necessary reminder of how precious time is and why not to waste it. It reveals the importance of time as a creation of Allah and as an asset to mankind. The Islamic calendar and its relationship to life and worship are also discussed. 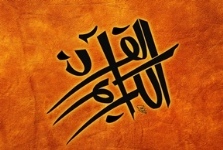 شرح الأربعين النووية This collection is widely studied in Islamic courses around the world. The Imam chose these narrations specifically because earlier scholars had considered them to be the sources of many basic principles of ‘aqeedah and shari‘ah. They reflect the concise and comprehensive style of the Prophet's speech and impart important information relating to the religion that should be known by every Muslim. Accompanying notes serve to further clarify the meanings contained in each hadith and have been abridged from the commentaries of an-Nawawi, Ibn Rajab and Ibn Daqeeq al-‘Eed. من هَـدي سورة يس Based on well-known Arabic sources, the surah’s meanings are explained clearly in English. An important addition to every Muslim’s library. في ضوء سورة النور Among the principal goals of Islam is the establishment of a high moral standard to protect not only the individual but the entire community. This surah treats what continues to be the most urgent social problem faced by mankind: the threat to family life. As cultivators of each new generation, women, in particular, have been encouraged to study it with care. سورة الكهف The Prophet’s recommendations to memorize and recite this surah weekly is an indication of its importance. It contains reminders of the end of the world and has been described by scholars as a source of guiding principles, instructive ethics and a foundation for sound belief. أزمـة ثقـافية An enlightening summary of Muhammad Qutb’s, Hal Nahnu Muslimun, this booklet diagnoses the ailment of the Muslim ummah as a preliminary to treatment. It has been especially appreciated as an eye-opener to Muslims in developing countries. أزمـة روحية Based on a lecture by a well-known speaker, this booklet urges Muslims to once again dedicate themselves to Allah. Not only an eloquent and passionate speaker, the lecturer is himself a most outstanding example of the ideal he presents, having endured much hardship, loss and affliction for the cause of Allah. Undaunted in the certainty of the final return to his Lord, he continues to inspire Muslims from every part of the world. ملخص فقه العبادات An overview of Islamic obligations to help new Muslims manage the ordinary affairs of daily life and to perform acts of worship in a correct manner. Used in the curriculum of many Islamic teaching centers. A great accompaniment to The Path to Prayer book. أحكـام الزكـاة والصدقـة This book concentrates on Islamic rulings pertaining to obligatory zakah and voluntary charities (sadaqah). Zakah is an expenditure due from those Muslims who possess wealth in excess of their fundamental needs. Its regular payment purifies the owner's remaining wealth and purifies his heart from such ailments as greed and selfishness. أحكـام الصـوم A useful and inspiring book which discusses both the obligatory fast of Ramadhan as well as voluntary fasting. Fasting not only pleases the Lord but provides nourishment for the soul and has the effect of softening hearts. It teaches patience, self-control and appreciation of the provisions and pleasures often taken for granted. أحكـام الصـوم رمضان A quick, helpful reference for the month of fasting. Share with friends and family by buying in bulk to handout before Ramadhan. جزء عـمَّ Part 30 of the Qur’an presented in large Arabic print, with English meanings. Convenient for students. إعجاز القـرآن As a supplement to oral instruction, this summary aids the English-speaking Muslim in understanding the theoretical aspect of correct recitation. Suitable for beginners in tajweed. طريقة الزواج في الإسلام This book provides clarification of Islamic rulings regarding marriage as opposed to prevalent customs and traditions, and an outline of the marriage procedure according to sunnah. تجهيز الميّت للدفن A step-by-step guide with simple illustrations on how to wash and shroud the deceased. حكم الاحتفال بالمولد النبوي وأعياد الميلاد الأخرى A must for every Muslim household. Stresses the importance of following sunnah and the danger of innovations. A believer struggling with the decision of whether or not to celebrate the mawlid or birthdays in general will inshaAllah come to the conclusion which is most pleasing to Allah. أنبياء الله Concise stories of the prophets based on the Qur’an and hadith. Carefully researched to avoid unconfirmed information. Suitable both for adults and young people. مدخل إلى الإسلام An attractive presentation with color photographs to introduce basic beliefs and practices simply and briefly. أركان الإيمان Islamic beliefs relate to a person’s conduct and character and to his eventual condition in the greater life to come. This book is a simplified explanation of those principal beliefs and is useful as a teaching aid. محاورة حول لباس المرأة المسلمة A Muslim woman is dignified by the way God expects her to appear in public, but what are the rulings she should follow? Does she need to cover her face or is a scarf sufficient? Is it necessary to wear an outer garment? This book explains where differences of opinion on these issues come from and clarifies the scholars' rulings regarding them. Muslim Parents & Cyberculture: What Can We Do About It? التعامل مع الإنترنت As home environments expand into the unlimited horizons of cyberspace, concerned parents are feeling increasingly anxious about their children's safety and morality in face of this new challenge. While kids are often more internet-savvy than we are, and although we cannot protect them from every negative influence, there are some real and manageable steps we can take to help children stay safe. This book presents practical guidelines compatible with Islamic principles to help them avoid serious problems and at the same time allow them the many benefits of internet use. التحرير المثالي للمرأة – مقارنة بين المفهوم الإسلامي والمفهوم الغربي Originally published in 1998, this book highlights issues that are still present and vital today (and in many cases have grown worse), especially in the areas of liberty, economy, media and family. As the dark tide rises and threatens to pull us all down, most people agree that change is needed. Although a greater understanding of Islam exists today, there are still sources pushing misinformation, which has caused undo harm to Muslims. This book can quell the fear and addresses many of the misnomers being generated about Islam, such as women being oppressed or treated as "second class citizens." Contrarily, Muslim women have rights and are protected by laws that Western women don’t have. Muslim women are highly protected members of society when Islamic Shariah is enforced. This book contains statistics and facts about Islam and Western culture extracted from well-known and authentic sources.